Geothermal energy systems experience a number of unique operational problems. 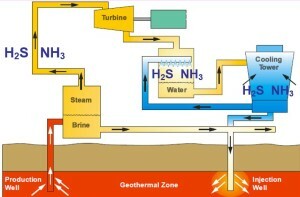 Fluids produced from geothermal reservoirs include steam, brine and a variety of non-condensable gasses (CO2, H2S, CH3, N2, etc.). 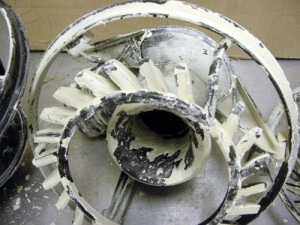 In water cooled systems with direct contact condensers, elemental sulfur fouling in the cooling system can be a significant problem. 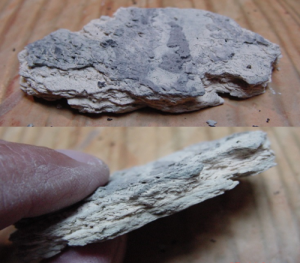 The pictures below illustrate geothermal power plants with severe sulfur deposition that causes frequent shut-downs for cleaning. 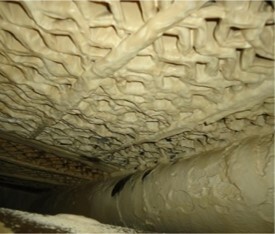 This severe sulfur deposition reduces system efficiency resulting in reduced mega-watt output from the plant. 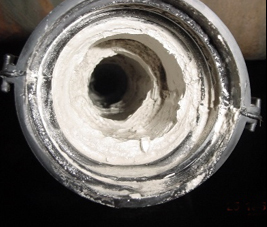 Sulfur deposit accumulation in flowlines. 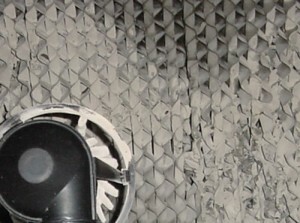 Sulfur deposition in nozzle orifice and on diffusion ring causes poor water distribution across cooling tower fill. 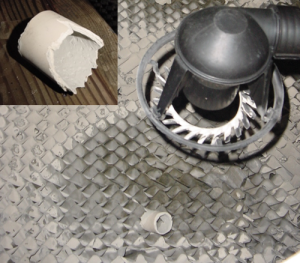 Sulfur accumulates in damaged fill beneath fouled spray nozzles. 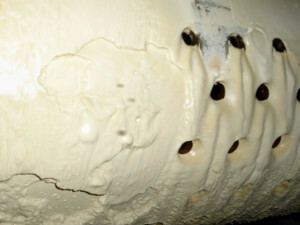 Sulfur deposits in stainless steel steam scrubber system. 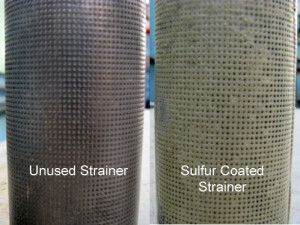 Sulfur deposits released from flowlines (left) and expelled from spray nozzles (right) following BCP™ 5000 series chemistry. 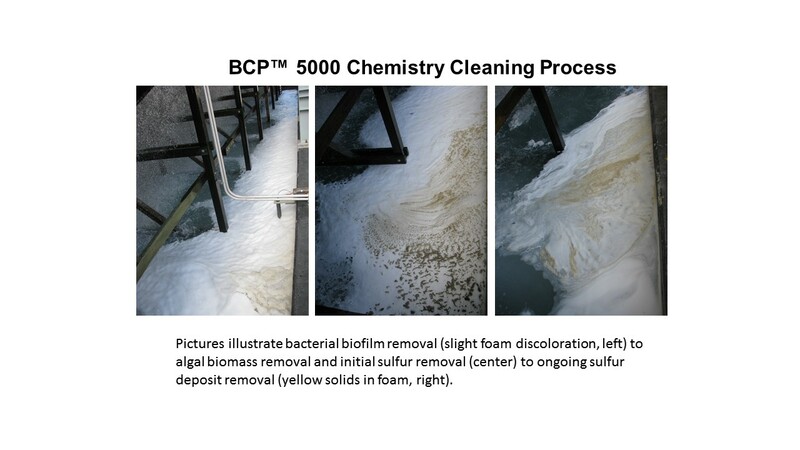 BCP™ 5000 Series Products (containing DTEA II™) are well known as organic deposit penetrants and dispersants. 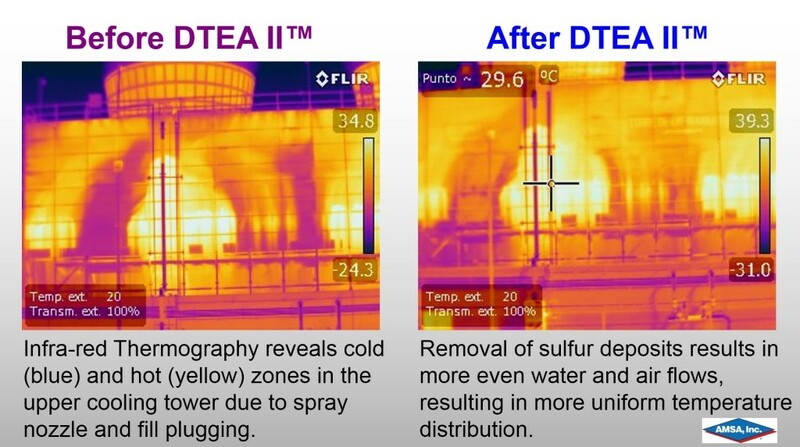 In rigorous testing in large geothermal plants in Mexico and the Philippines, DTEA II™ has been shown to be the only chemistry effective in removing pre-existing hard elemental sulfur deposits, and in preventing the formation of new elemental sulfur deposits. IR Thermography clearly shows better hot & cold temperature water mixing in a geothermal electric power plant cooling tower located in Mexico.